Are you looking for a writer/editor/contributor? We should talk, I have a window of opportunity. In the interest of laying a foundation of credibility, in my lifetime I have won two bicycle races, both of which consisted of fields in the single digits. I can write my way out of a paper bag. It’s pretty easy – you just describe a box cutter, and then it perforates the side of the bag and you escape through the perforation. I have been directly messaged, mentioned, or otherwise acknowledged on Twitter before by actual figureheads of industry including or limited to Jonathan Vaughters. I have made Michael Creed laugh before, by tweeting him a picture of a Taco Bell Enchirito. This is a milestone intellectual accomplishment. 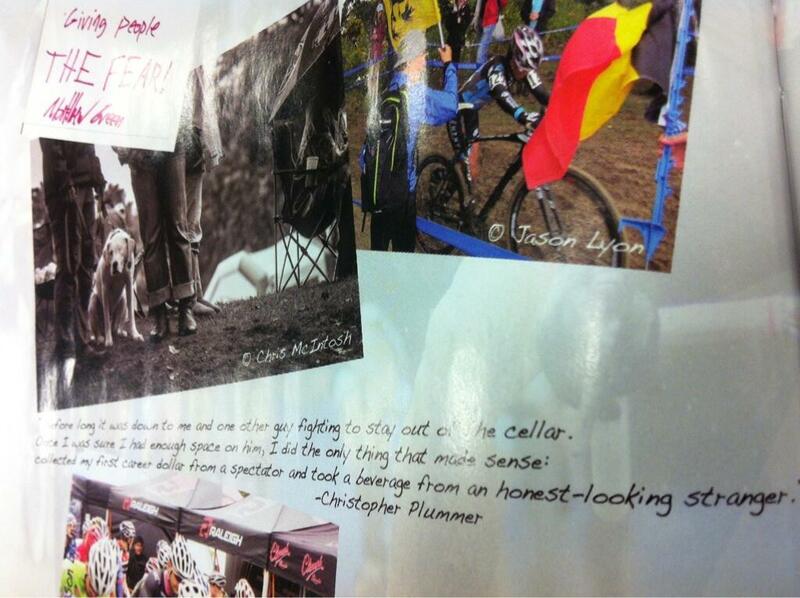 I am partially responsible for inspiring untold numbers of cyclocross racers to upgrade through a number of web-based propaganda/shame vehicles. I routinely post snarky comments to Bike Rumor, in a snark-to-constructive ratio of approximately 5:2. I wrote my way into a pro deal with American Classic in 2010. Interestingly enough, the most popular posts on this blog are the cursory reviews I authored for their 420 Aero 3 wheelset. I have been published twice, including once in a real-life print magazine, sold in actual Barnes and Noble stores. The point of fascination here is that the publisher actually solicited me and no begging, groveling, or moral impropriety was involved on my part. I have a eye for detail. I can tell a story you will identify with, providing you are a similarly-abled nonprofessional anything.